I deserve the peace prize. It would take someone more than a little naive to think that I am talking about the Nobel. No, but I do deserve one. Stick with me and I’ll tell you why. Many moons ago, I gave up driving after being terrorized by a truck driver. Ever since, the husband has been in the driver’s seat (strictly restricted to the car). He negotiates the traffic with the precision of a gymnast. More often than not, the ride is smooth - like a hot knife across a butter slab. Otherwise calm and solemn, the husband is a Gandhian until he encounters crazy traffic.While his driving is smooth, his mind is a mayhem. Because, once he is behind the wheels, he begins to ask weird questions. There is nothing to tell. Since the answers elude me, I distract him by playing music and indulging in small talk. Honestly, nothing works. Flip the coin, and you have my son – the junior. Cool as a cucumber, he doesn’t get irked by the chaotic traffic. But his driving jolts every vertebra of my spinal cord. He could be humming casually when the car screeches next to a Maruti trailer and my heart pops up in my hands. It's not that he is reckless driver, heavens no. Despite having grown on a staple diet of car chasing video games, he respects the traffic lights and the traffic cops alike. And yet, his driving is like riding a carousel on Gurgaon’s crazy highways. So I am trapped in a dilemma: Should I go for a smooth drive with ear plugs, or a bumpy drive with dark glasses? My worst torment is to occupy the backseat, when the son is driving and the husband is next to him, on the front seat. That is when I become a serious contender for a peace prize. Irked by the incessant prompting, the driver steps up the FM radio. Almost instinctively, the prompter reduces the volume and continues with the instructions. On the edge of the back seat, my job is to maintain peace and dissipate the tension in novel ways.Who wants two sulking men at a family wedding? So, this time we attended a wedding, I made sure my mother was on the front seat, next to my son who was driving. As in cards, a change of seat might do the trick, I thought. Holding hands, I took the back seat along with the husband. Each time, the speedometer kissed the family approved 70km/hr, I tried to distract the senior by indulging in inane talk. Looking ahead anxiously, he was strangely quiet. But the grip of his hand was an indicator of an approaching jolt. The granny, I am assuming had the ride of her life. Because today when I asked her to come along, she said she preferred a cab. Great post!Driving habits are as unique as our fingerprints-i think.And so is the tolerance level for speed. Everybody is in a mad rush these days .And phoning while driving--how did people manage their affairs before the advent of mobiles? True about driving styles. But its crazy how folks drive on a highway while they are on their cell phones. :) good to see you here. Ha ha ha... That was funny. Sorry for your predicament but I would like see that third scenario. Go get that peace prize lady. Bang on about the third scenario. I am going to renew my driving license. Ha ha, I know. Reminds me of a scene from a movie where Juhi Chawala drives her father crazy in his brand new car. Rahul, too many commercial vehicles where I live. And then the NH 8 cannot be avoided if you live or work in NCR. It is same every where..Ask any wife and she will tell you the same story..Hence,I ensure that my wife drives when we go out together. Thank you for reading Sid. Funny!! I remember my parents bickering about the street, the crazy pedestrian and my mom's side seat driving!! Good to see you here Roshni. I am thinking of renewing my license Rachna. Had enough of soothing tempers, both sides. I live on a state highway that boasts of unruly commercial traffic. And that deters me. Wait till Sid is eighteen and the story is likely to repeat at your end!! Haha you brought back a lot of memories..! From the time my Dad started driving...and then Mom... Chaos chaos chaos ! And hubby is too fast for the road, but he is alert and strictly abides by rules and lanes. :D Like someone said the driving style is as unique as fingerprints ! Last two lines were awesome! Ah, right now cabs are in the news for all the wrong reasons. Alka at her sparkling best. I loved the line "How the hell can she come from the wrong side?" Nonetheless, your struggle is real. Prateek, so good to see you here. Long time. Roads have become really crazy with every passing day. Welcome Vinitha. Good to see you here. Do ping me, if you ever need some crazy insights on driving behavior, my profession has exposed me to those. So happy to see you here Anuj. Would love to read about your road travails. Not writing anymore? 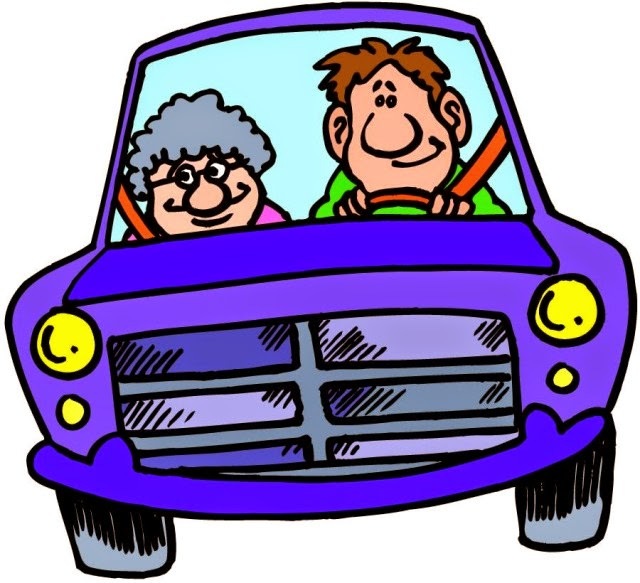 A non-driver is the safest bet as a good co-passenger. I have seen many drivers and their styles and i prefer mine! I am sure you do. Thank you for reading Manogna. You said it. If you can drive in India, you can drive anywhere. We need more peace-loving souls like you & I :) Roads will be safer & better! 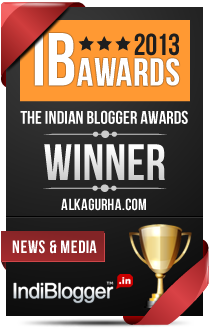 You must write a post for the road-safety contest of IndiBlogger. Thanks Anita. I will check about the contest. For various reasons, I have lost the will to write for contests. Hahaha... You described pretty much what happens when Alok and his father are in the same car. But in my case, Alok is like your husband and his father is like your son and when the two are together, you have to be both deaf and dumb to survive. Really? Roles are reversed in your case? And you said it. About the deaf and dumb bit. Hah...funny one. Of course, anyone who is able to survive even a single day driving on the roads of Gurgaon without losing his sanity or vocabulary deserves that peace prize! The commercial traffic in an around where I live is a menace Rickie. The truck and cab drivers have no liability and they drive like maniacs. Ha ha Alka ! That was fun to read. You surely deserve the peace prize by helping with tempers and tensions :) Would have loved to see granny's face on the front seat ! Ha ha, I am a Leo too. This blog claims NO credit for any images posted on this site unless otherwise noted. Images are copyright to its owners. If there is an image on this blog that belongs to you and do not wish to appear on this site, please email with a link to the said image and it will be removed promptly. Reference to any person/persons is co-incidental and is not intended to malign reputations. Satires are a figment of writer's imagination.